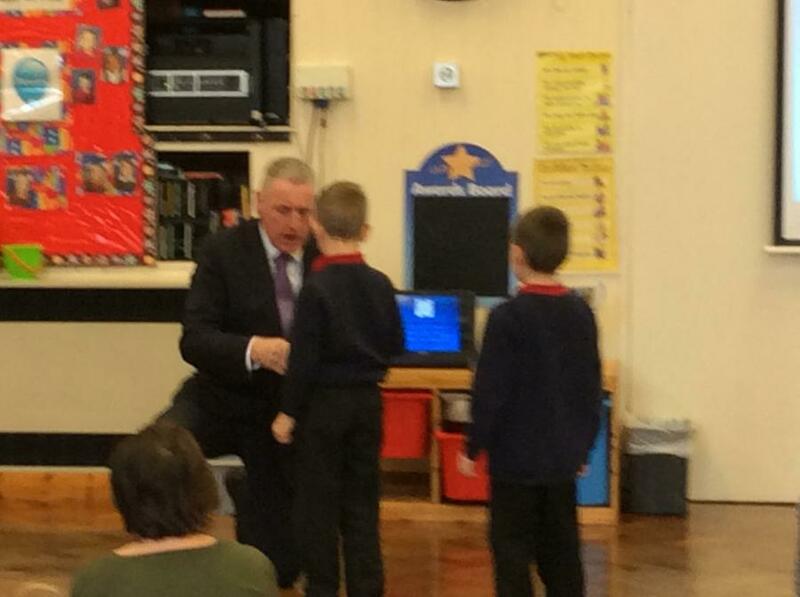 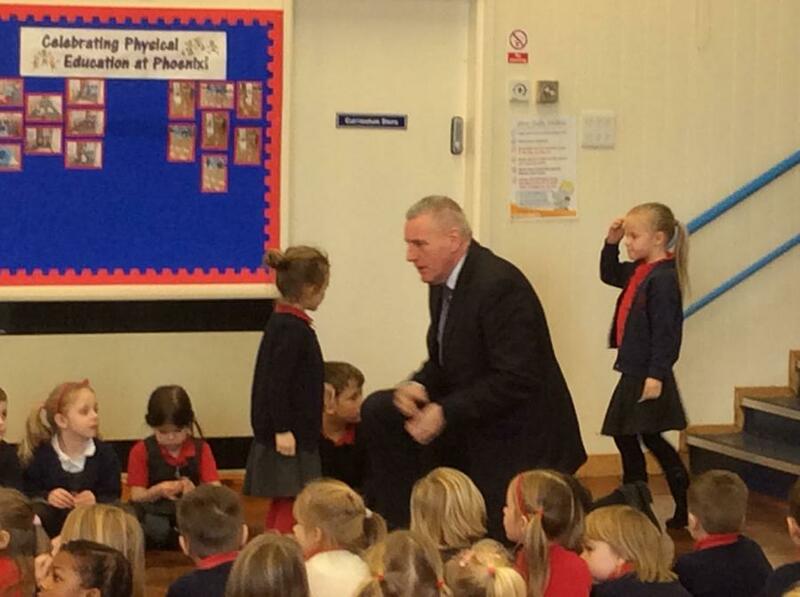 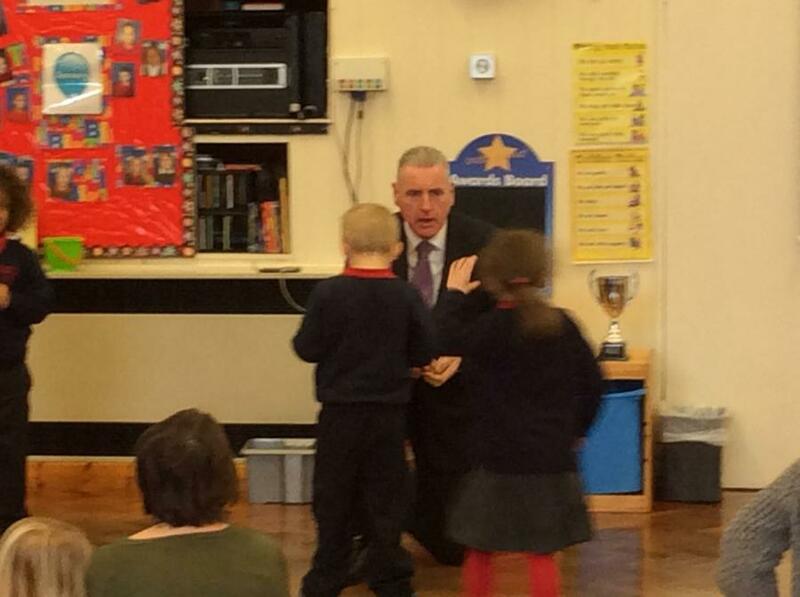 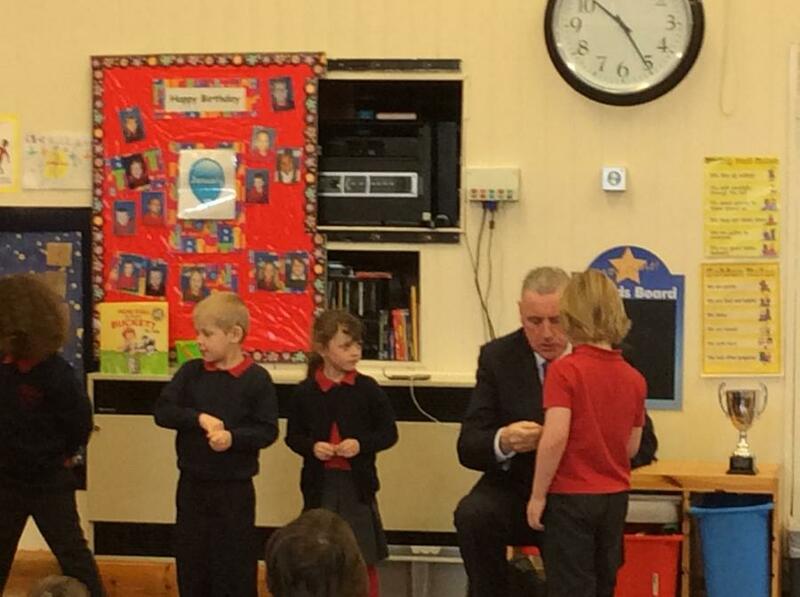 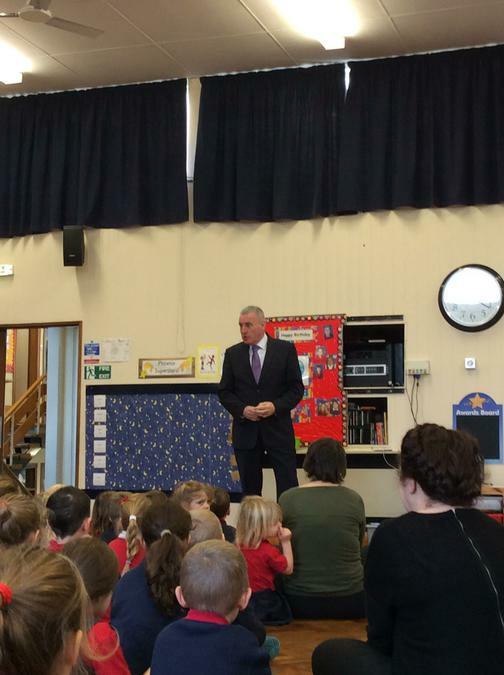 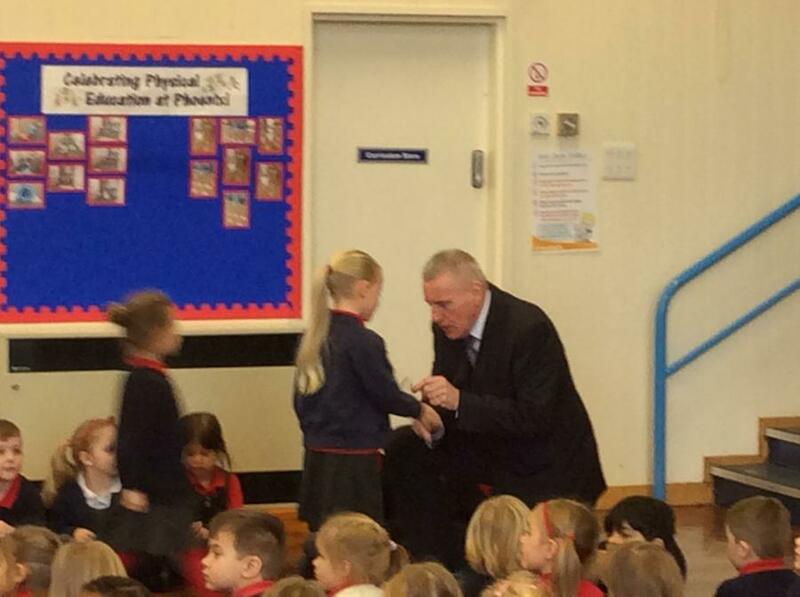 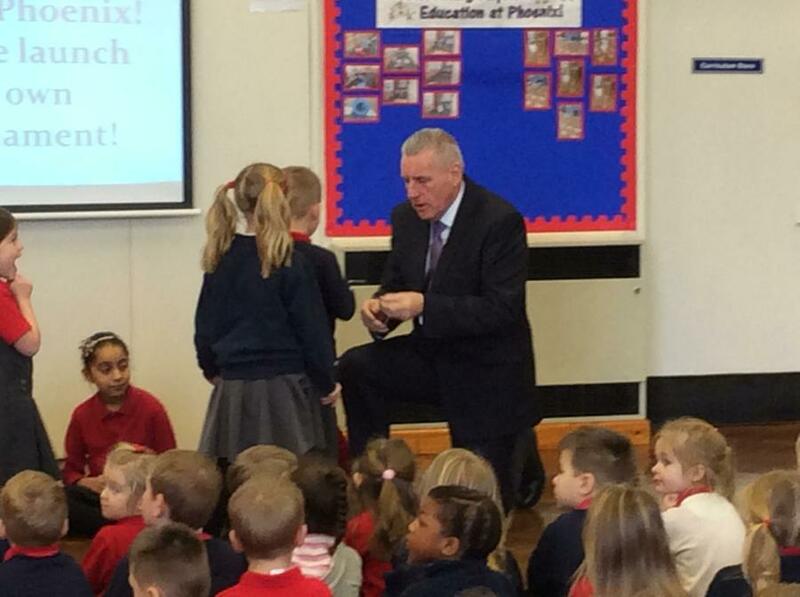 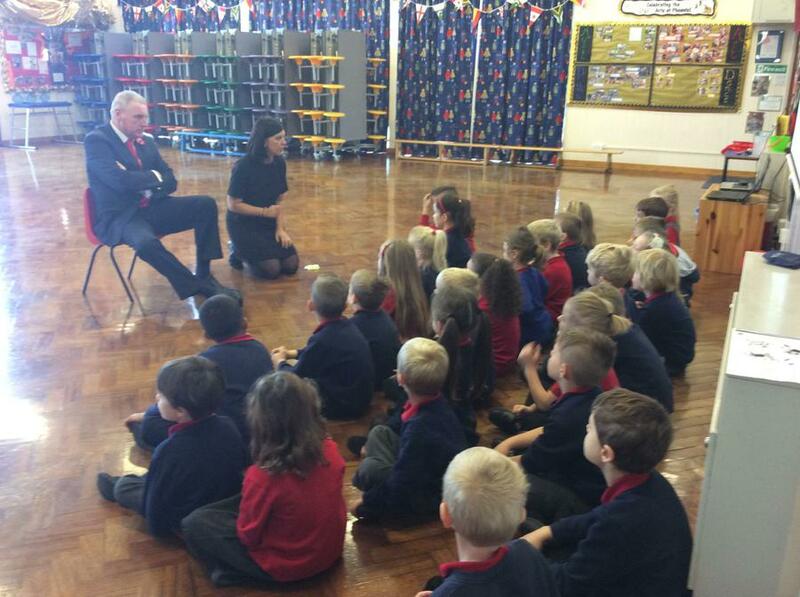 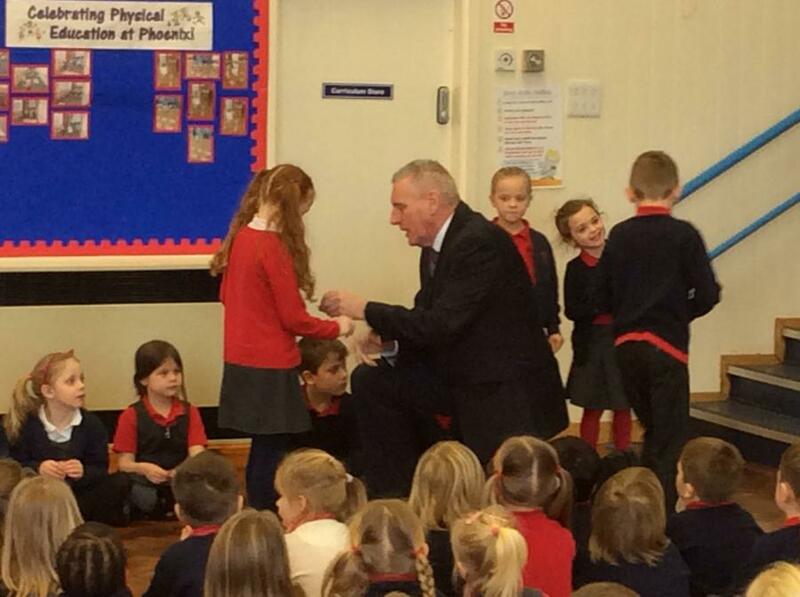 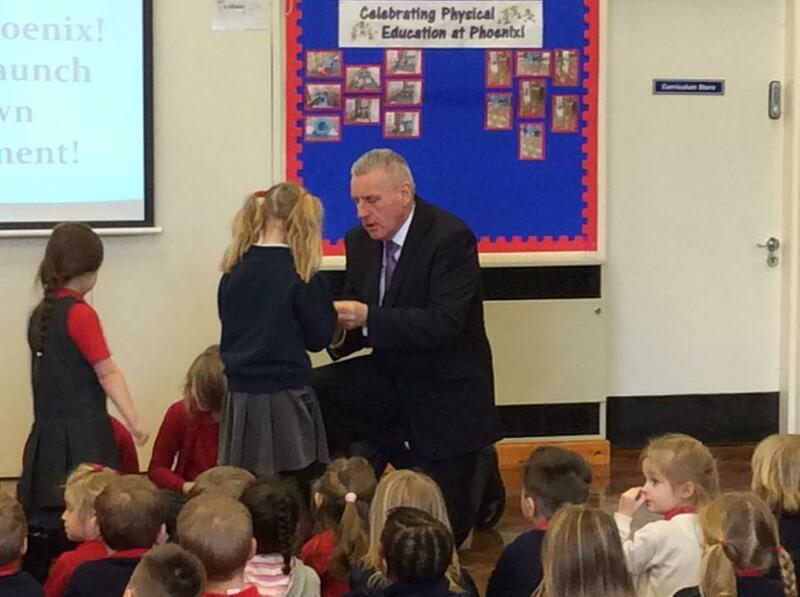 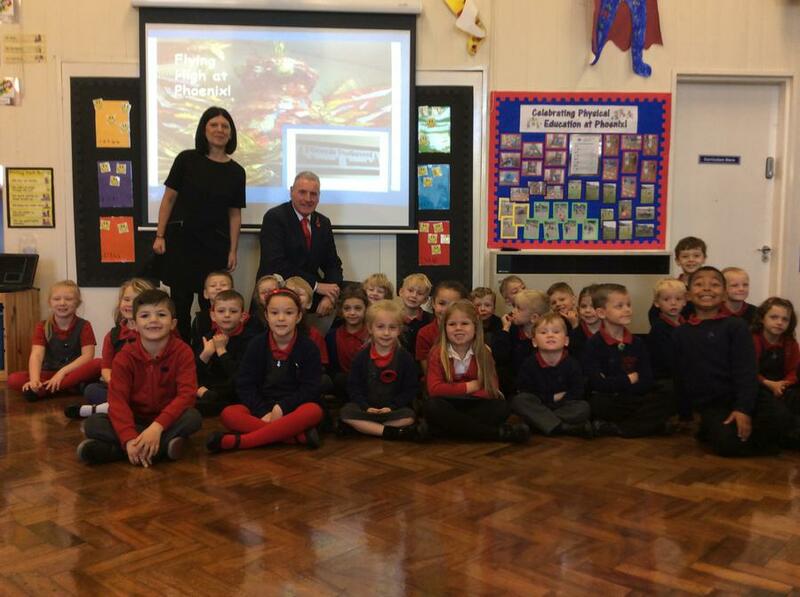 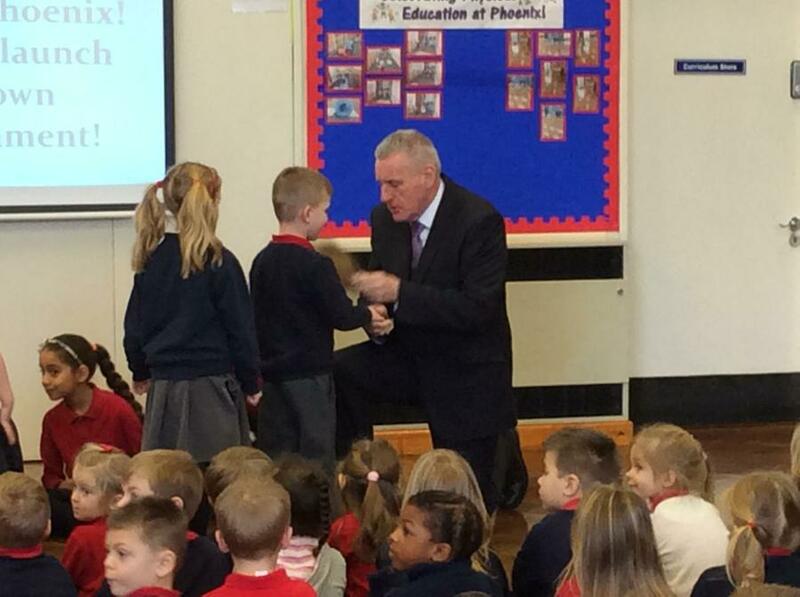 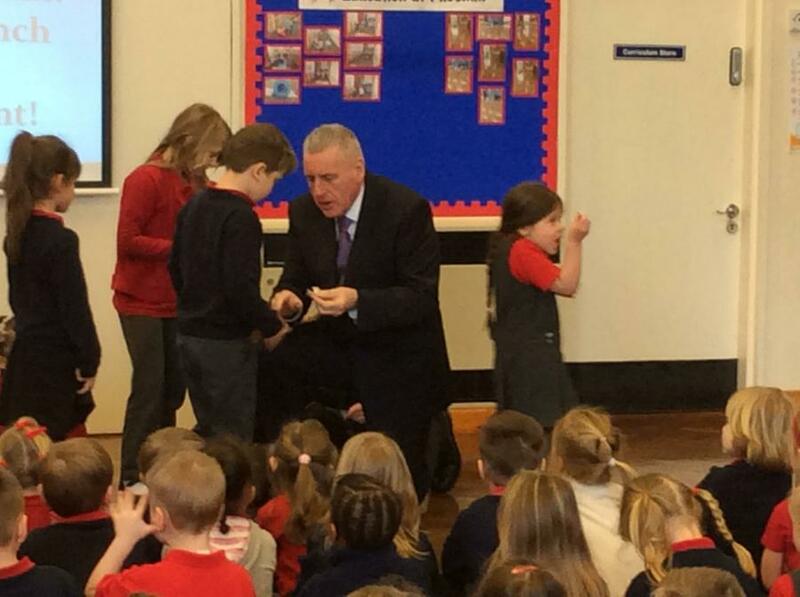 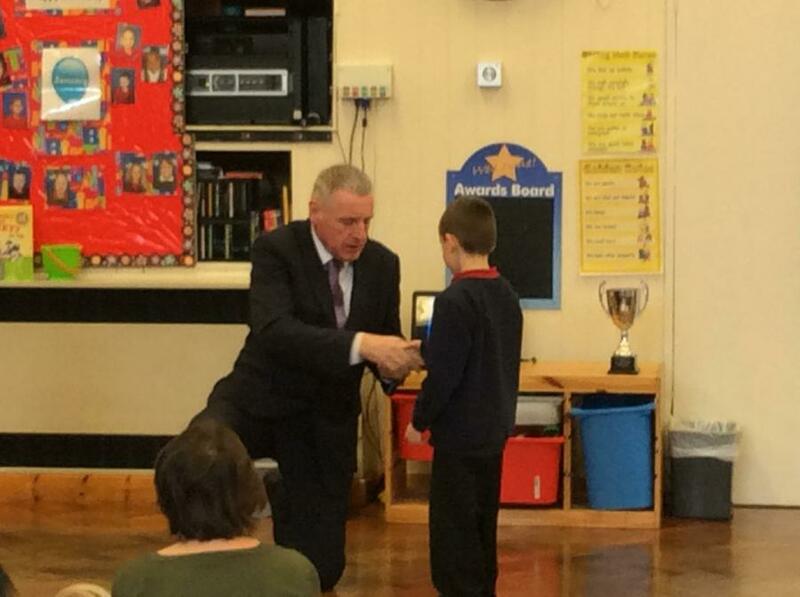 Vernon Coaker (MP) meets the children. 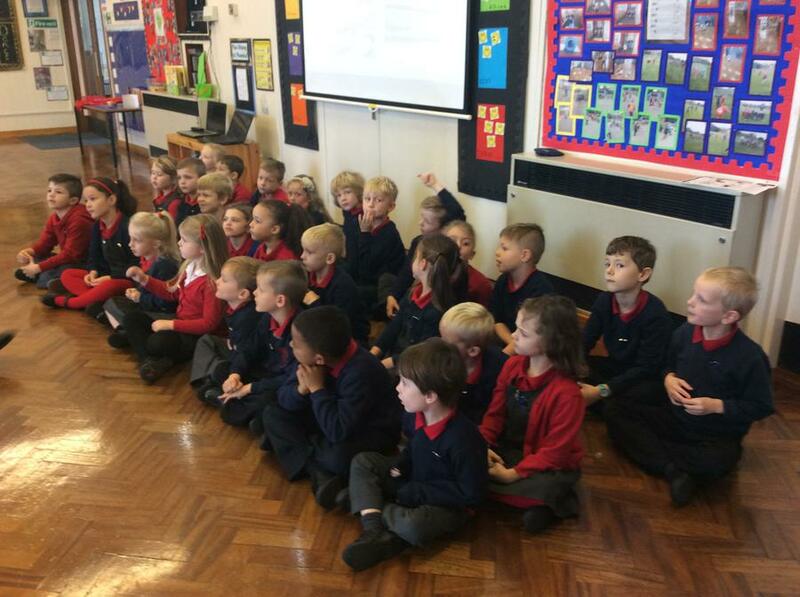 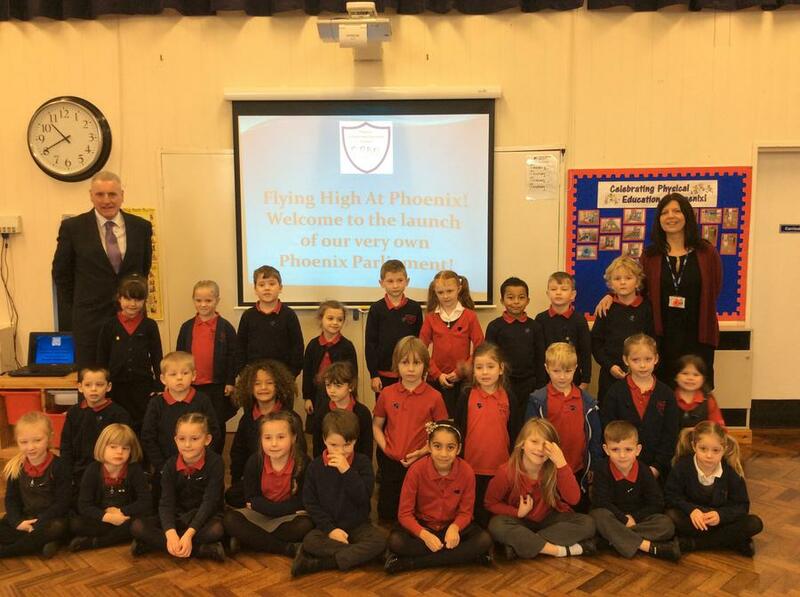 At Phoenix we have our very own Phoenix Parliament! 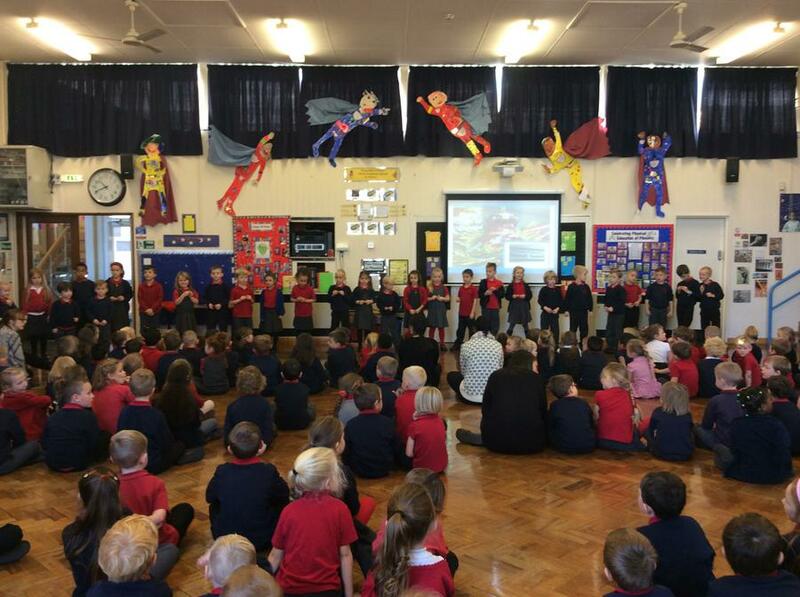 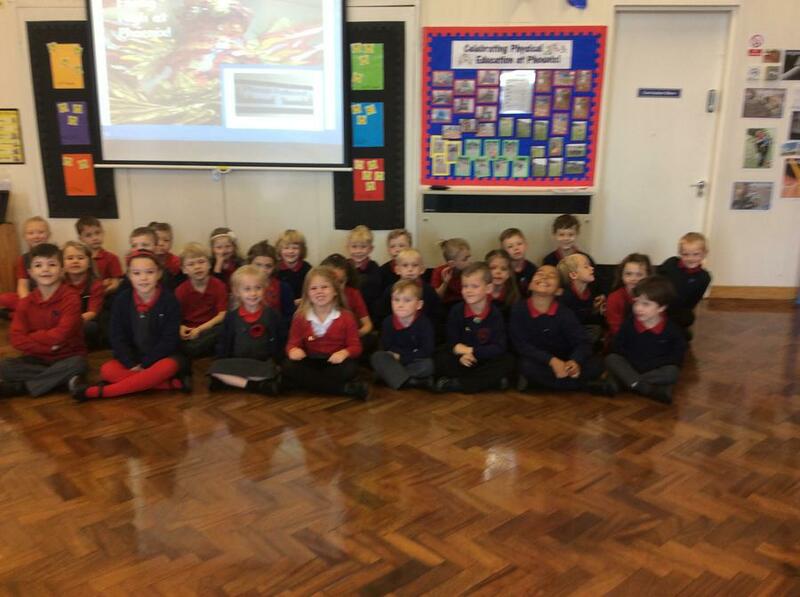 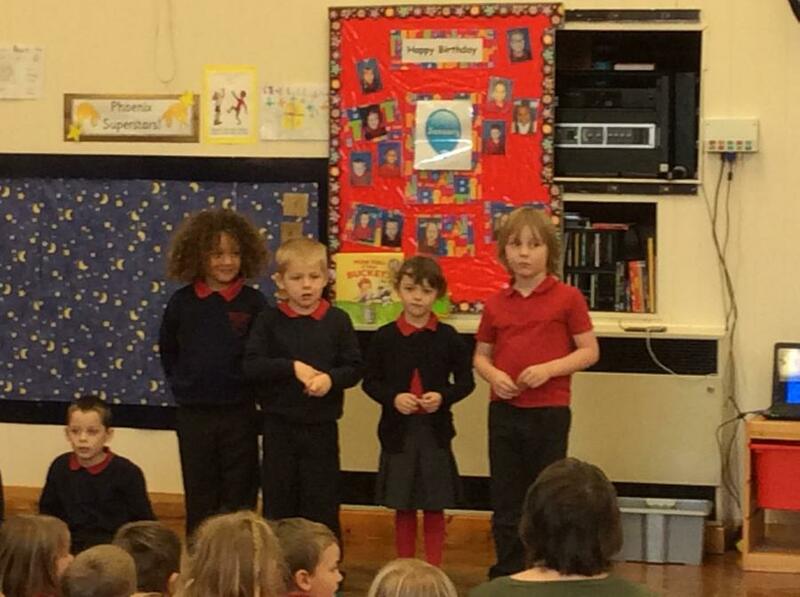 The children in whole school assemblies have been learning about democracy and what democracy means. 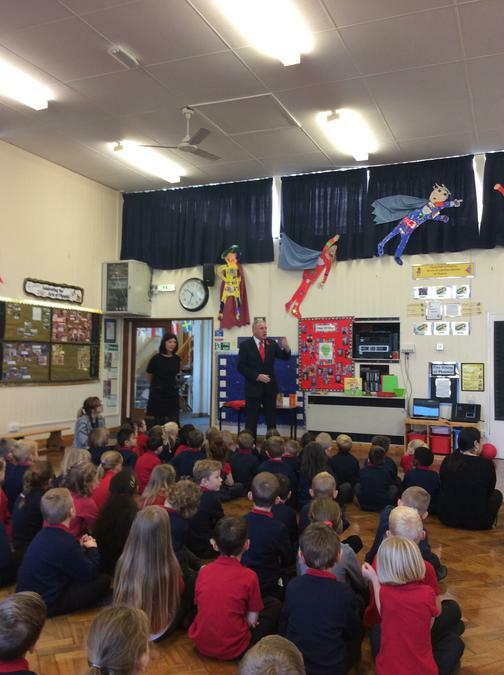 We held elections during the Autumn Term and we have different Members of Parliament (MP's) for a range of different areas such as; Behaviour and Safety, Learning, Environment, Challenge, Enjoyment and Lunch and Playtimes. 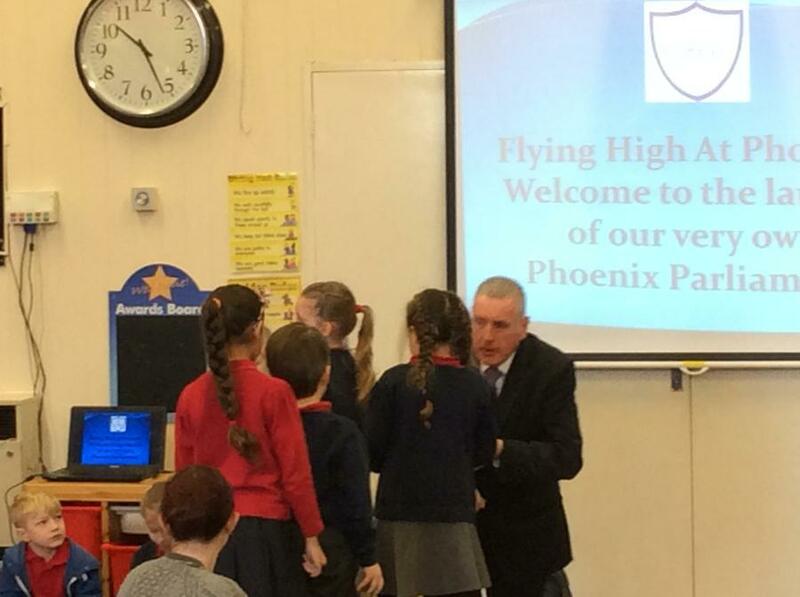 We are very excited at being able to listen and act upon the children's great ideas and views at Phoenix. 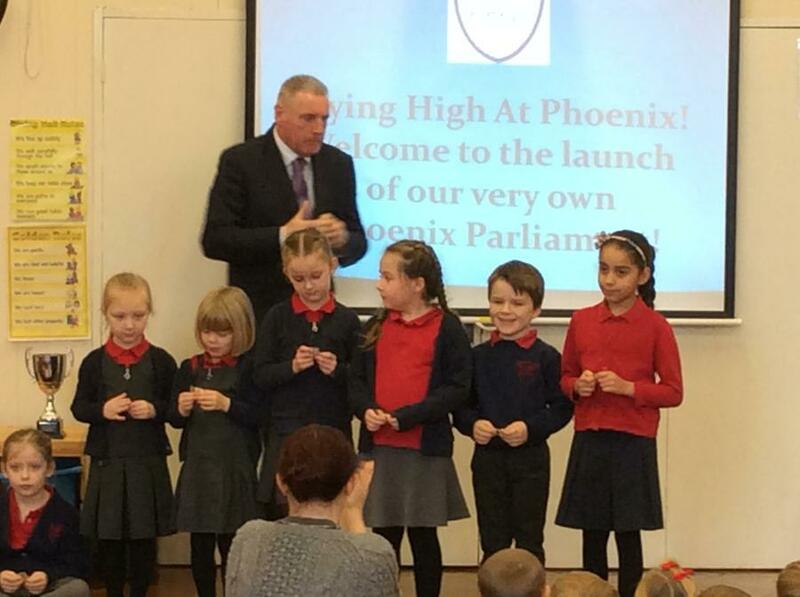 Opening of Phoenix Parliament. 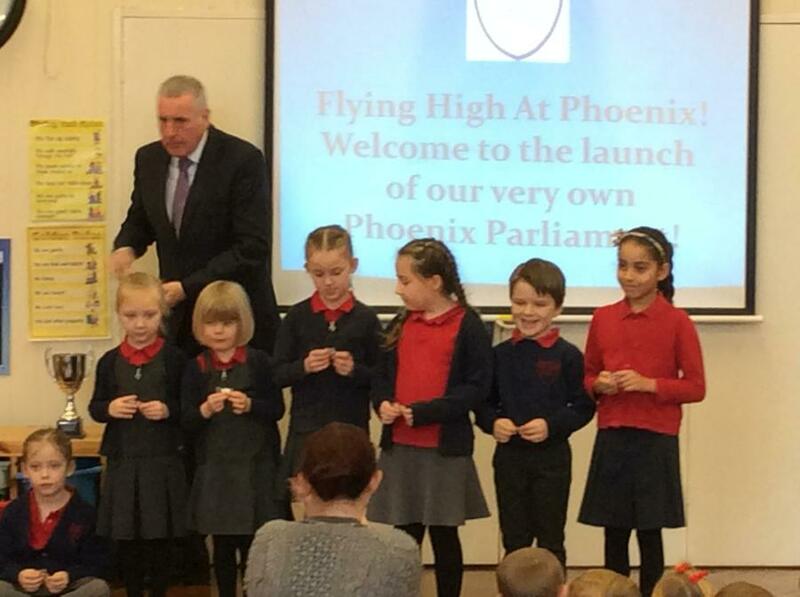 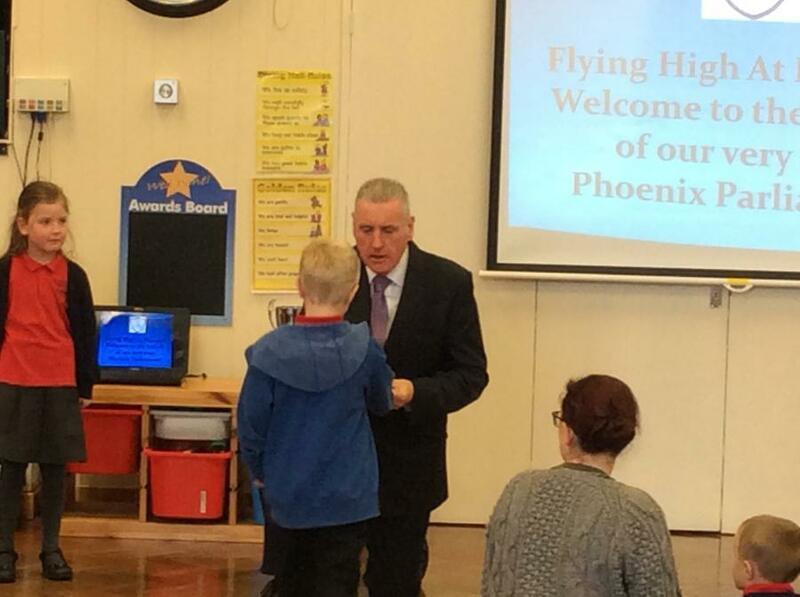 On Friday 22nd January Mr Vernon Coaker ( MP) launched our Phoenix Parliament. 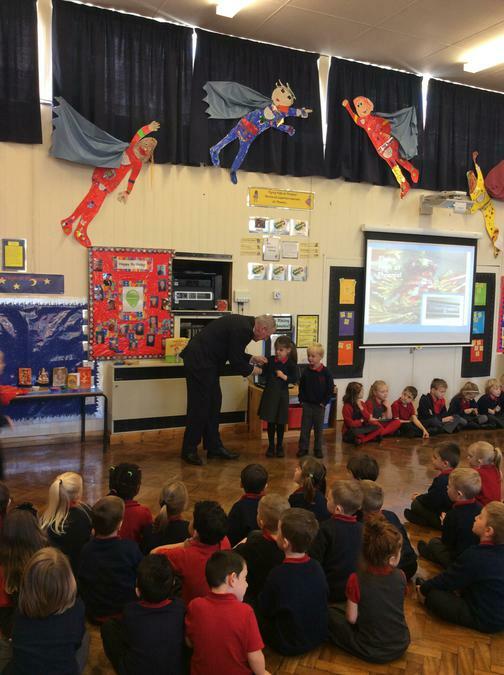 The Nottingham Evening Post covered the story too. 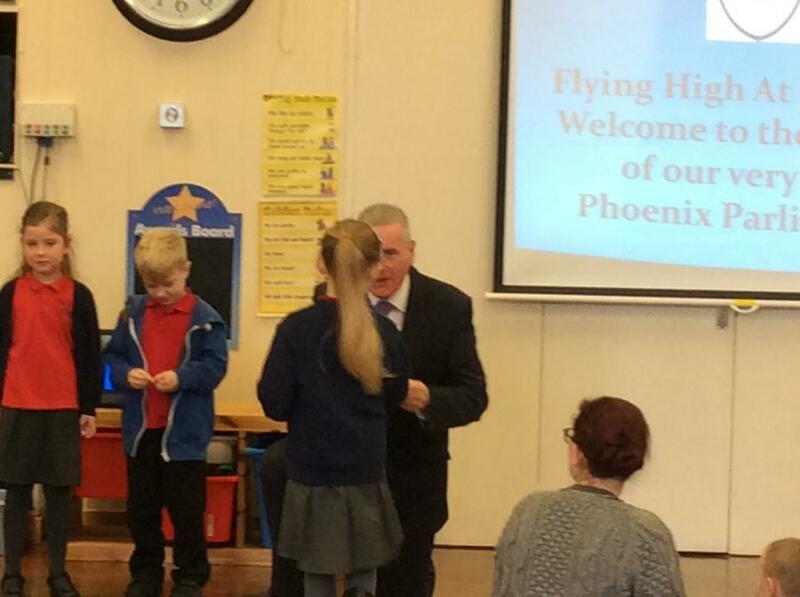 Mr Coaker was so impressed he sent this letter praising the pupils at Phoenix. 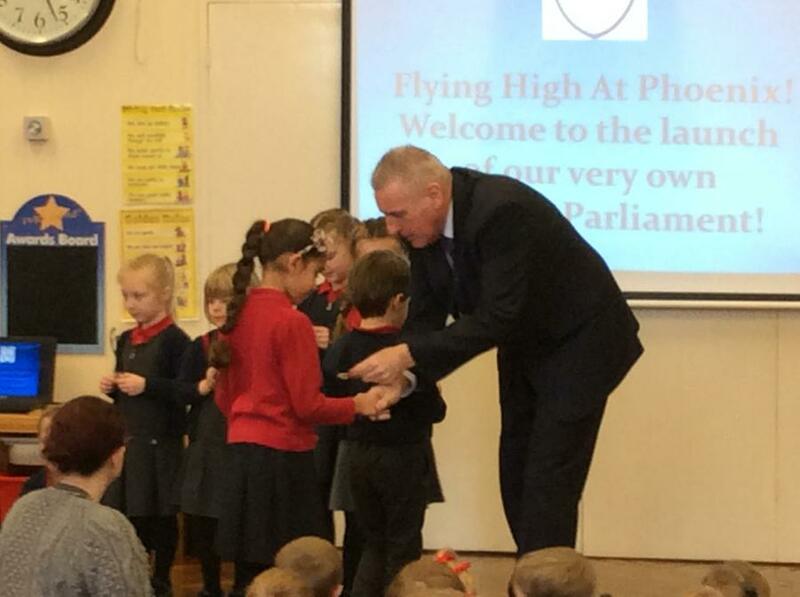 We now have all our elected MPs following elections in the Autumn Term. 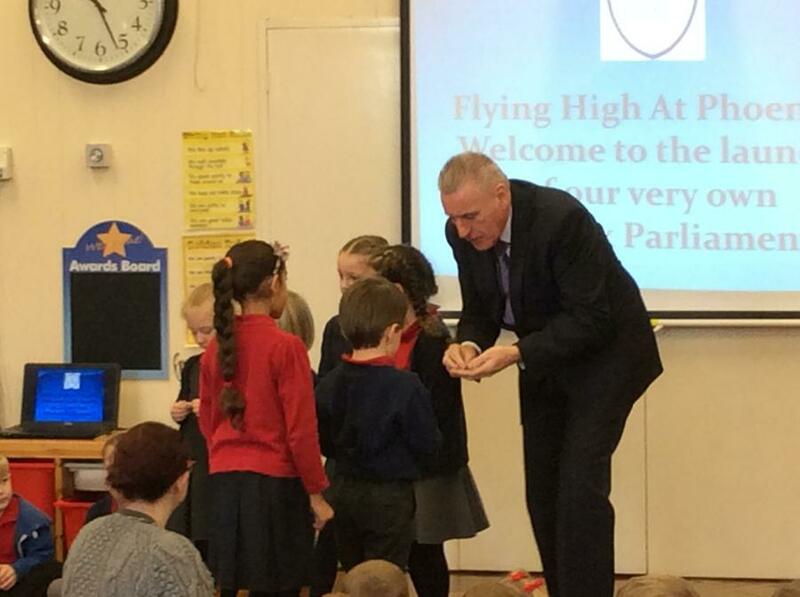 Mr Vernon Coaker (MP) is coming in to school on Friday 8th January to launch our Parliament. 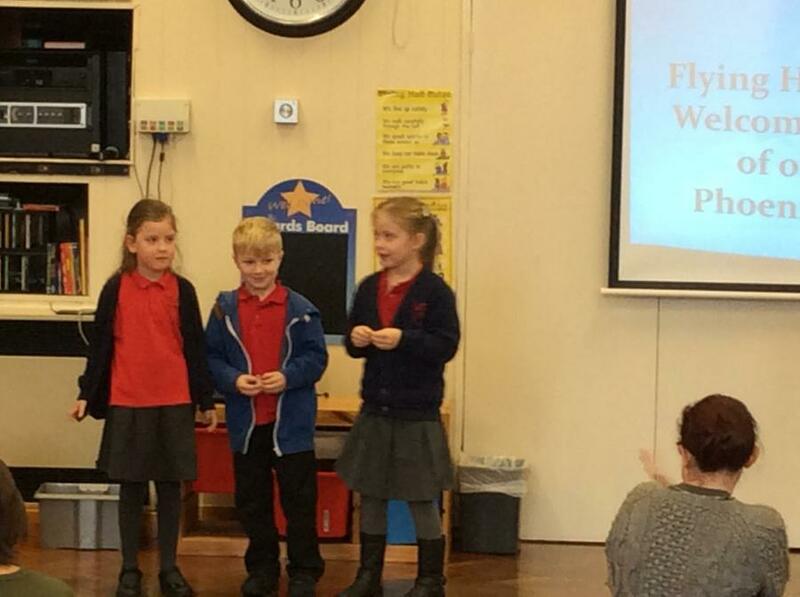 We will be posting pictures and also minutes of the meetings held. 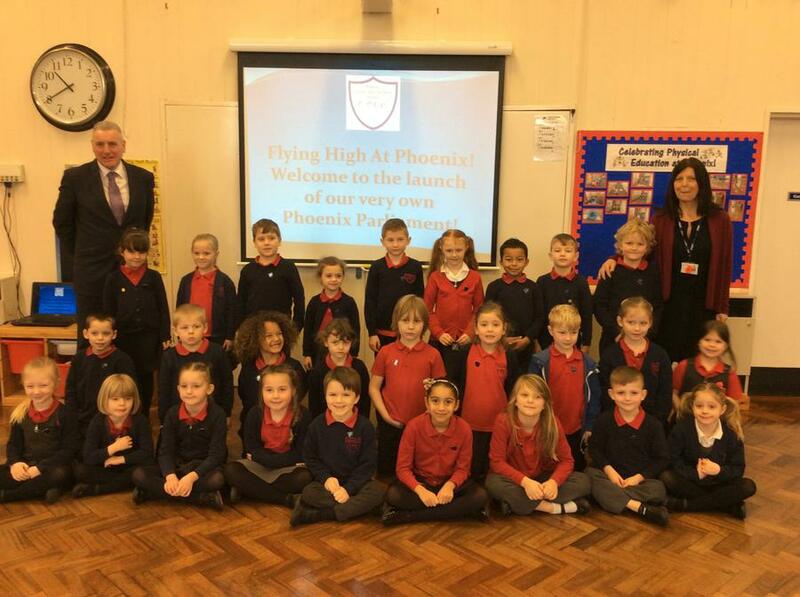 This term we are introducing our very own Phoenix Parliament. 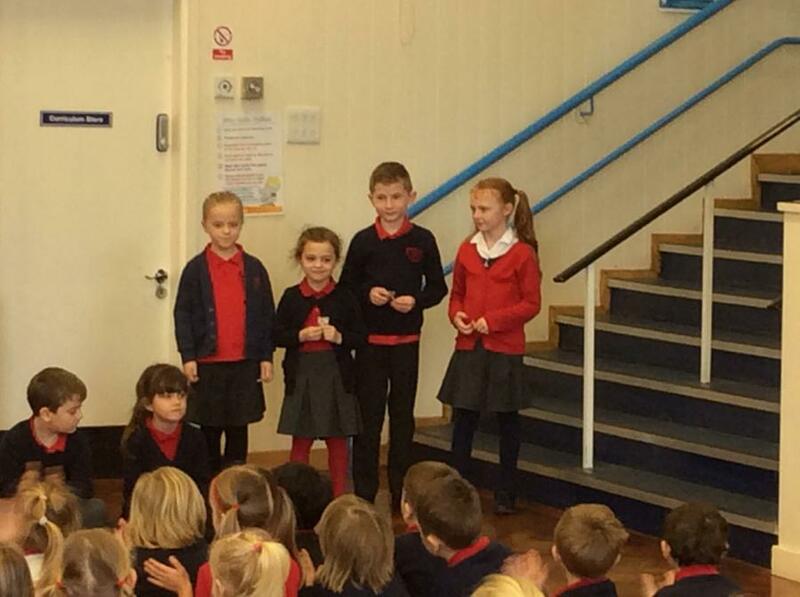 The children in whole school assemblies have been learning about democracy and what democracy means. 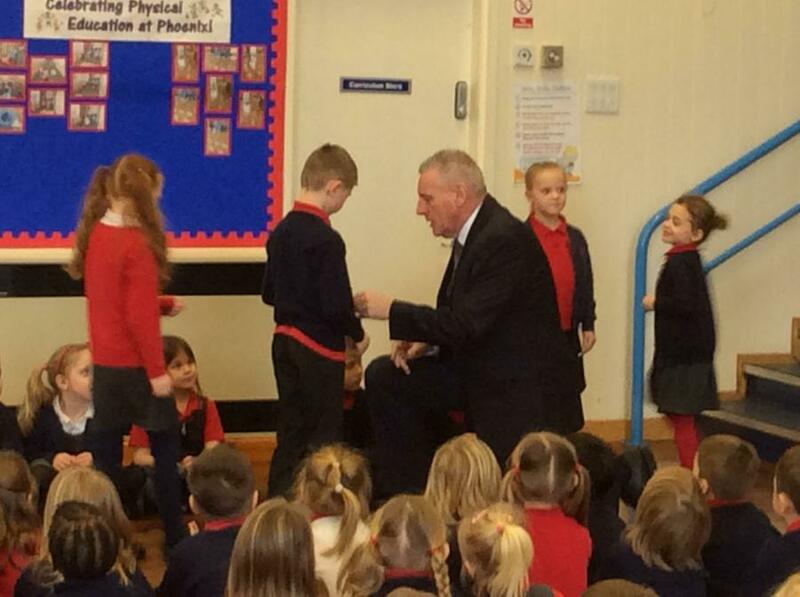 We will be holding elections over the next few weeks and will have different Members of Parliament (MP's) for a range of different areas such as; Behaviour and Safety, Learning, Environment, Challenge, Enjoyment and Lunch and Playtimes. 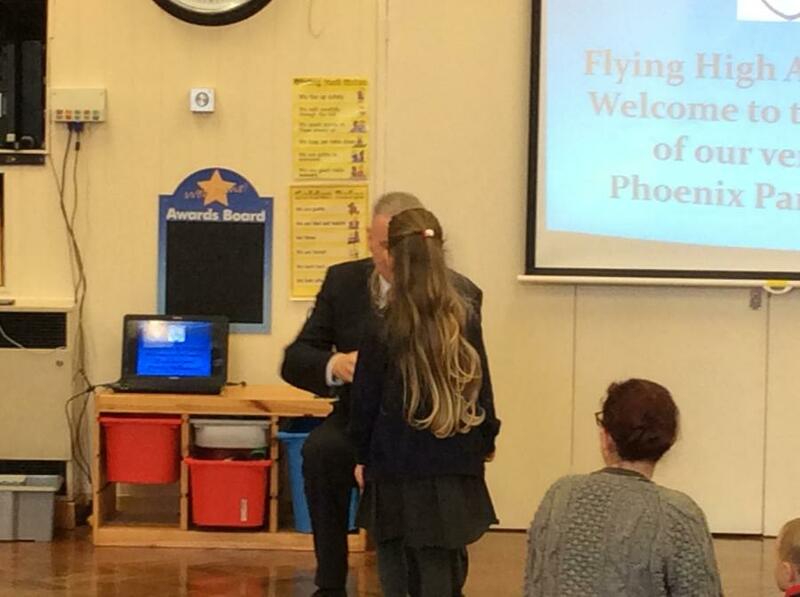 We are very excited at being able to listen and act upon the children's great ideas and views at Phoenix. 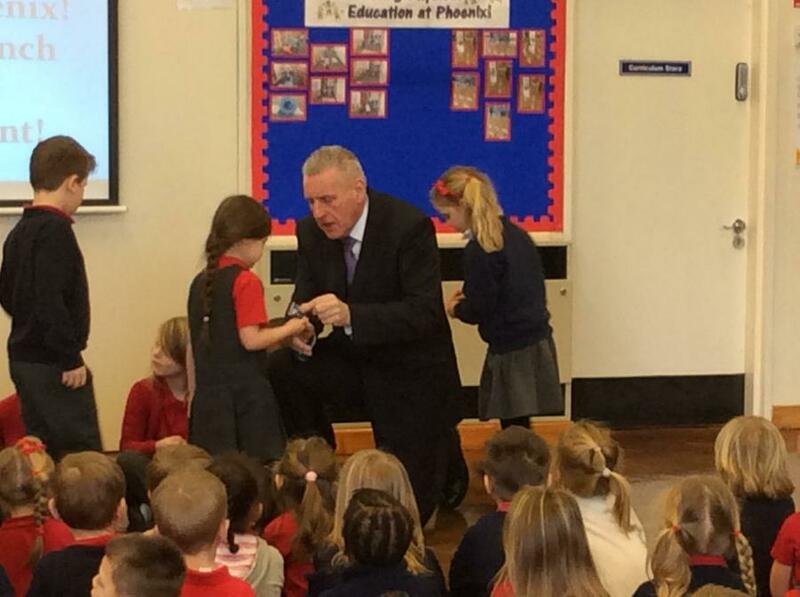 Mr Vernon Coaker, the Labour MP for Gedling will be visiting the school to support the opening of our parliament. 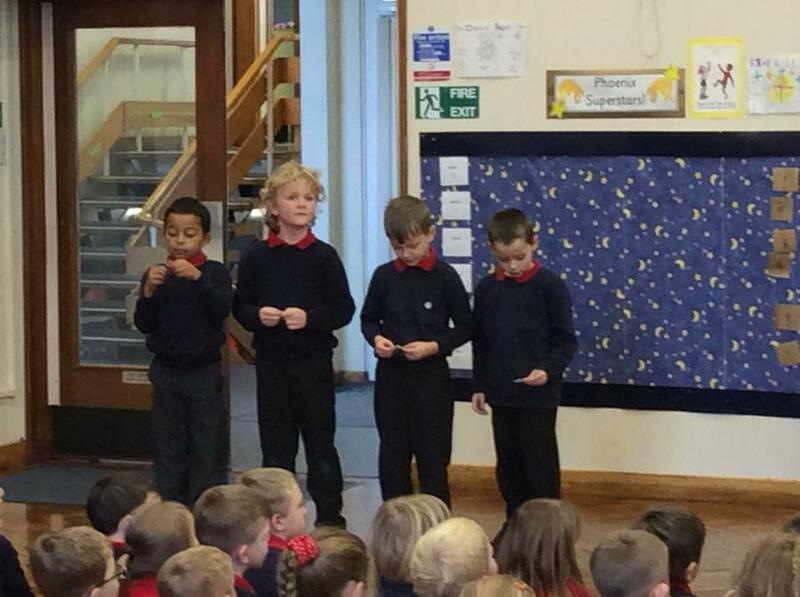 Date to be confirmed soon.